Prince Alfred (�Affie� within the family) was born in 1844 at Buckingham Palace, the 4th child of Queen Victoria, and the only one not born at Windsor. The Queen wrote when he was only a year old that Alfred was the possessor of a �very good manly temper� which he reportedly retained for the rest of his life. 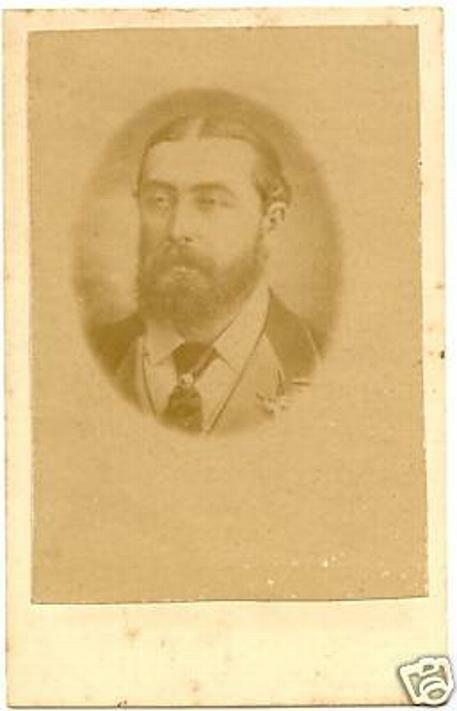 In 1867-68 he made an extended tour of Australia where he was the victim of an unsuccessful assassination attempt by a Fennian, an Irishman named Henry James O�Farrell, at Clondarf in New South Wales on 12 March 1868. O�Farrell was hanged the following month. In 1874 Prince Alfred married Maria Alexandrovna, Grand Duchess of Russia.